AirScout lets you see your crops like you’ve never seen them before. There is no such thing as an average year in farming. But there is such a thing as making the most of what nature gives you. That’s where AirScout® comes in. The concept is simple: Find crop trouble before trouble finds you – and then take immediate action to keep input costs low and yields as high as possible. Perhaps the earliest detectable plant stress symptom is a slight increase in temperature. With sensitivity to 3/100° C, AirScout® Thermal Imagery™ detects the earliest signs of plant stress anywhere in your fields. AirScout puts you in position to intervene against problems long before they cause serious damage and to preserve the maximum yield that nature will allow. 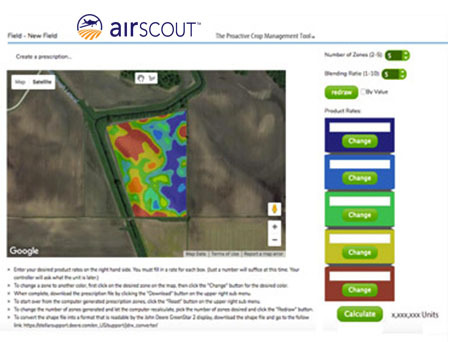 AirScout lets you manage crops proactively instead of reactively. This new approach AirScout makes possible is what we call Proactive Crop Management.™ And there is no better tool for it than AirScout. You cannot treat crop problems you do not know are there. And most times, you cannot know problems are there unless you can see them. Now you can see crop stress in the earliest stages with AirScout Thermal Imagery™. 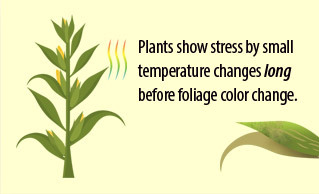 You see where plant stress is just beginning compared to surrounding healthy plants. Now you’ll have weeks of advance notice – not just days – to do something about what’s causing stress. The AirScout App guides you precisely to the trouble spots so you don’t have to walk every row scouting your crops. Your ground truthing is more efficient and effective, and there’s no wasted time. AirScout points you to the smallest outbreak of a serious crop disease long before it spreads. It helps you find a newly invading population of harmful insects, or discover a small but troublesome root-borne problem like pathogenic nematodes. Once you discover the cause of the plant stress, you can take direct action to treat it. 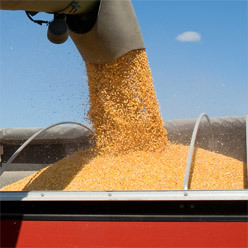 You keep input costs low and protect your yields. In-cab yield monitor confirms the early AirScout yield estimate. Imagine having that kind of confidence in where you stand compared to the overall market. 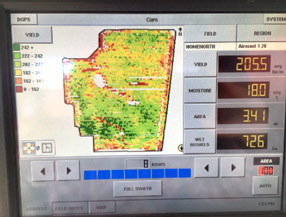 Having this kind of “insider” intelligence about your own yields can give you great advantages when making your marketing decisions. As they say, timing is everything. 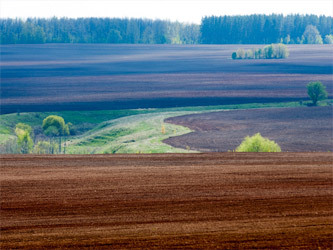 Are the fields ready to plant? AirScout helps you find out – decisively. 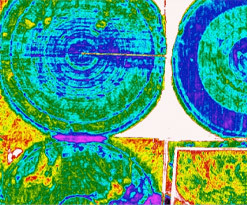 Standard NDVI images read light reflected from foliage surfaces, so it cannot detect bare soil conditions such as relative moisture and temperature. AirScout Thermal Imagery™ is the only practical technology that reads bare soil conditions that tell you when and where soil conditions are good for planting. At harvest time, it can be a near disaster for heavy equipment to get stuck in wet, muddy low spots. In addition to time and labor, it’s not uncommon for accidental equipment damage to occur along with unexpected delays and costs. 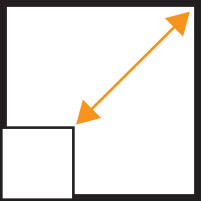 AirScout shows you those problem spots to avoid with heavy equipment. With AirScout, it’s possible to remotely inspect tile lines for leaks or blockages. You can follow runoff patterns and check there for remaining soluble nutrients. You will know where to inspect for erosion, and see where irrigation systems are not working like they should. Analyzing bare soil conditions on a practical and timely basis is an entirely new capability made possible by AirScout. Scale It Up, Or Down. It’s Up To You. You can subscribe to AirScout to collect images of a few fields, large swaths of cropland, a county, or an entire watershed region. The choice is yours. AirScout services are paid on a cost per acre per flyover. Pricing varies by individual need, but just about all AirScout subscribers view the moderate cost as a significant bargain considering the capabilities and increased ability for precision field monitoring. The AirScout Prescription Tool™ is simple and easy to use. All AirScout data can be used to create files that drive Variable Rate Treatment (VRT) equipment. There is nothing new to learn. The AirScout App is simple and easy to use. In about 30 minutes you will be using it like a veteran subscriber! The images are stored online in your private, password-protected location and will appear automatically in your AirScout App window within about 24 hours of each flyover. Google Earth coordinates are already embedded into each image so they self-align. You can enlarge them, manipulate them to change colors and sensitivity range if necessary. You can also simplify the color bands in preparation for creating your custom treatment prescription in the AirScout Prescription Tool.